The What: Apollo Enclosures is now shipping the 75-inch Model AE7570, a sleek all-weather outdoor enclosure that transforms the customer’s 70- to 75-inch slimline TV into an all-weather outdoor TV solution. The new model is available now, with an MSRP of $2,095. The What Else: The temperature within the enclosure is controlled with a triple-fan, filtered airflow system that safeguards the TV in temperatures of -4 degrees (-20 degrees C) to 122 degrees F (50 degrees C). The 9-foot, outdoor-rated power cord provides the necessary safety for power in the outdoor environment. The Bottom Line: Model AE7570 is engineered with the company’s proprietary all-weather outdoor feature set that includes a lightweight, powder-coated aluminum construction with anti-reflective safety glass that further protects the customers’ TV and improves contrast while significantly reducing ambient reflection. 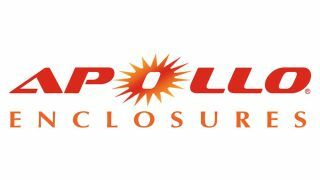 Apollo’s TightSeal technology securely seals the enclosure and protects the TV from rain, snow, dust, and insects, and the cable connections to the TV inputs and outputs are shielded with a water-tight cable cover.